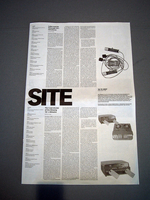 Site is a journal for contemporary art, architecture, cinema, and philosophy. When the journal began six years ago, we attempted to set ourselves a series of goals, or at least to circumscribe a certain terrain. 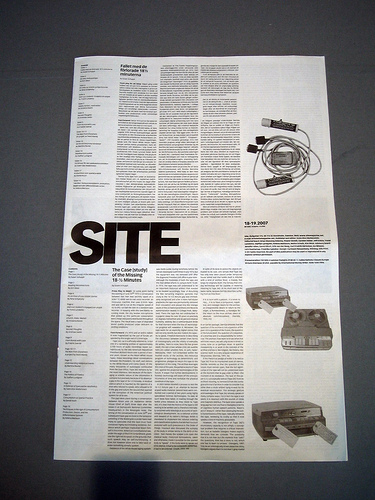 Because of the plurality of interests among the editors—artists, curators, film theorists, architects, philosopher, art critics—this proved to be a difficult if not impossible task, and instead of operating with definitions that in the end do not define anything, we attempted to do the opposite: to remain as long as possible in an indeterminate state. This indeterminacy should however not be understood as something merely nebulous and diffuse, but as something that comes from the subject matters themselves: not only the highly porous limits between various forms of art, but also between theory and praxis, and between a heritage that seems to have lost its binding force, and a present moment that claims to have undone all hierarchies of the past. For us, this insecurity does not mean that all aesthetic and theoretical practices would merge in some implosive synthesis, rather that they, in a reflection that starts from their specific problems, would be able to enter into a productive tension in order to produce something new and unexpected. Unlike most academic institutions, with their divisions of labor and competence, a journal is an exemplary place for experimenting with the very form of knowledge and discourse, a place where a knowledge of the past can meet a still undetermined future, where things can remain in the making for as long as one wishes. Whether this succeeds or not can only be decided by the reader.